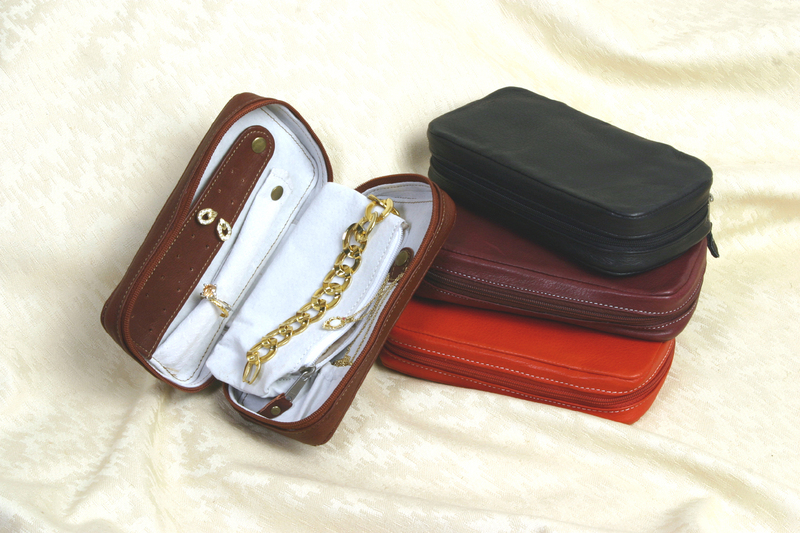 A fully lined zip around Leather Jewelry Case is a gift that will be treasured for years. Designed to hold 8 pairs of earrings with snaps for bracelets and a tube to keep rings in place. An additional interior zippered pocket for additional storage is included. The compact design will fit into a Briefcase, Luggage or a Purse. Our Full Grain Leather is manufactured naturally leaving all scars and blemishes of the natural leather and is considered part of the character and beauty of the finished product.